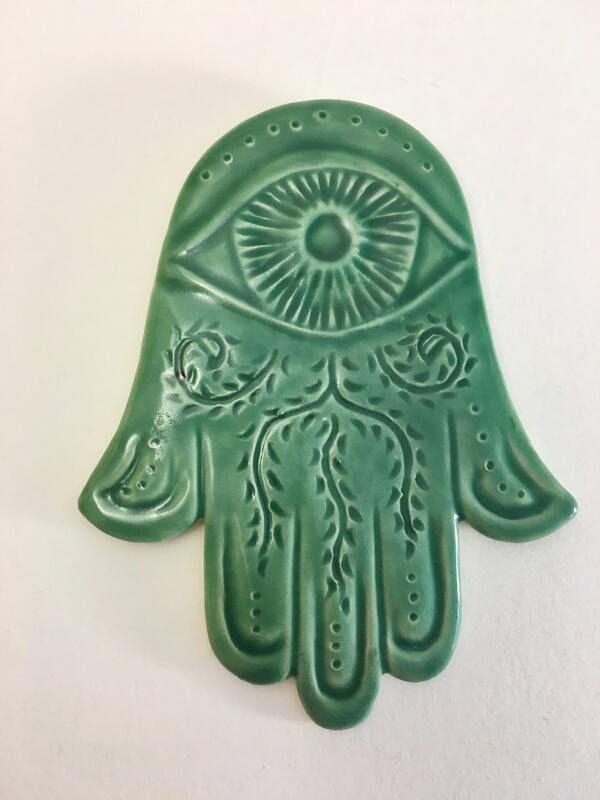 Hamsa wall hanging with carved detail in translucent celadon green glaze. Just shy of 5 inches tall. Ready to hang in your home our outside your door. 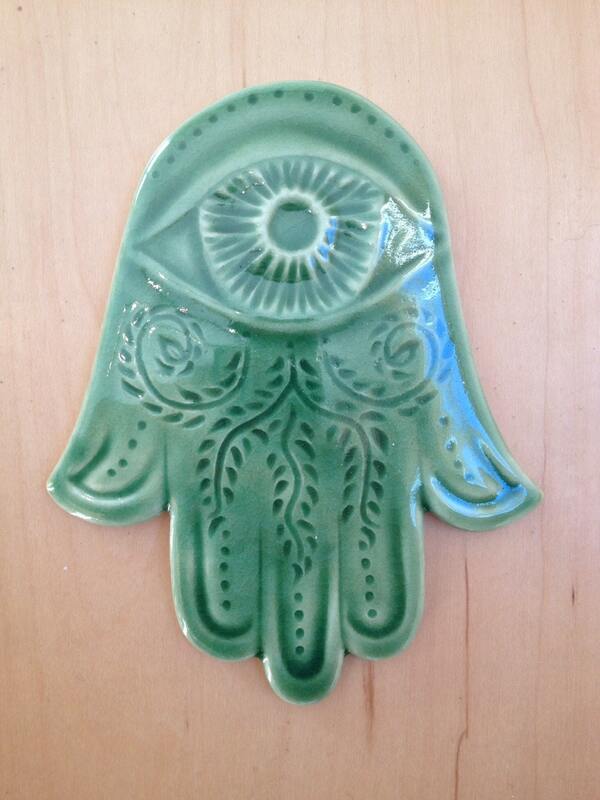 It is customary to hang a Hamsa in your living space or at the entry to your home. 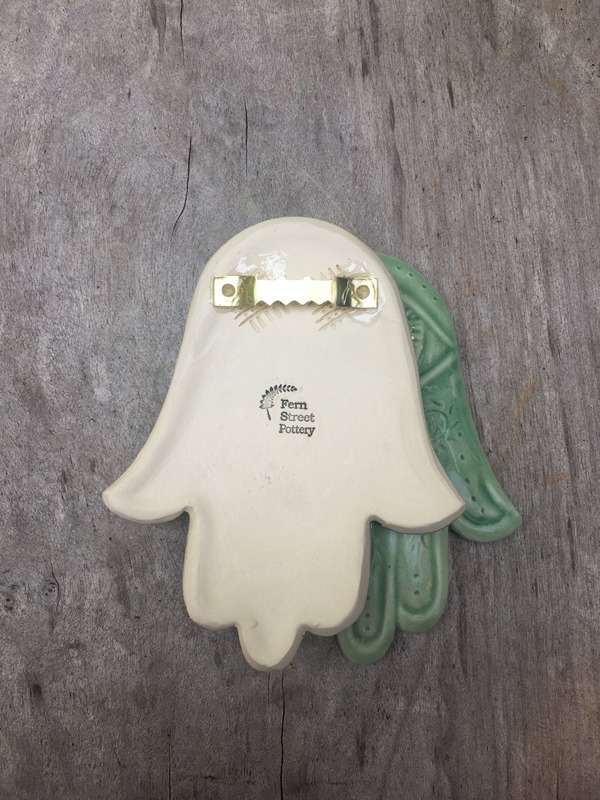 Great house warming or hostess gift to bring to your Seder Hosts. 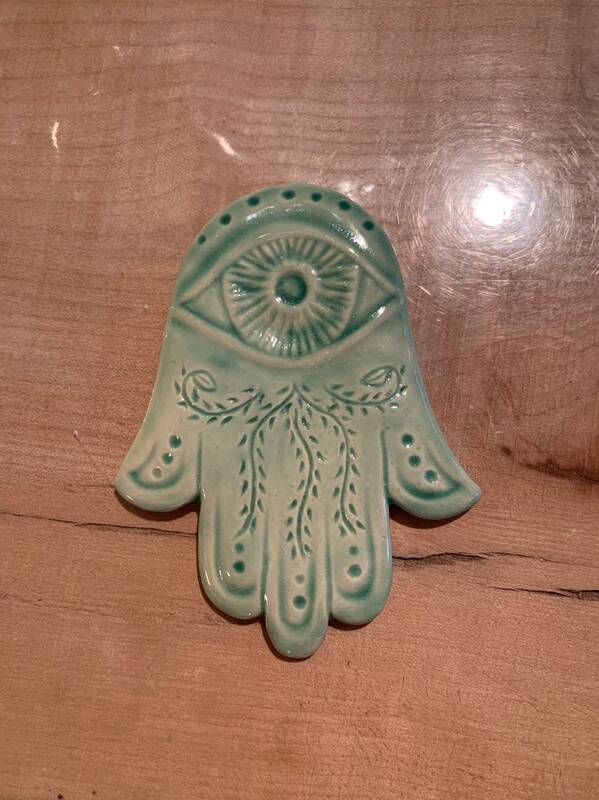 The Hamsa is said to be a protective amulet, with powers to protect its owner from danger or harm from the Evil Eye. 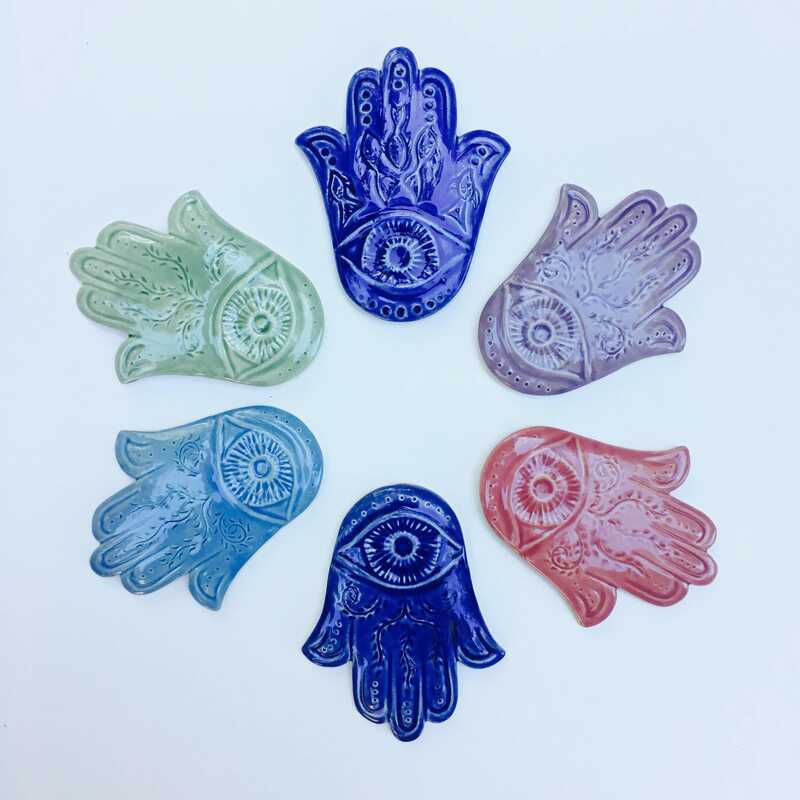 The Hamsa is a protective symbol found in many cultures. 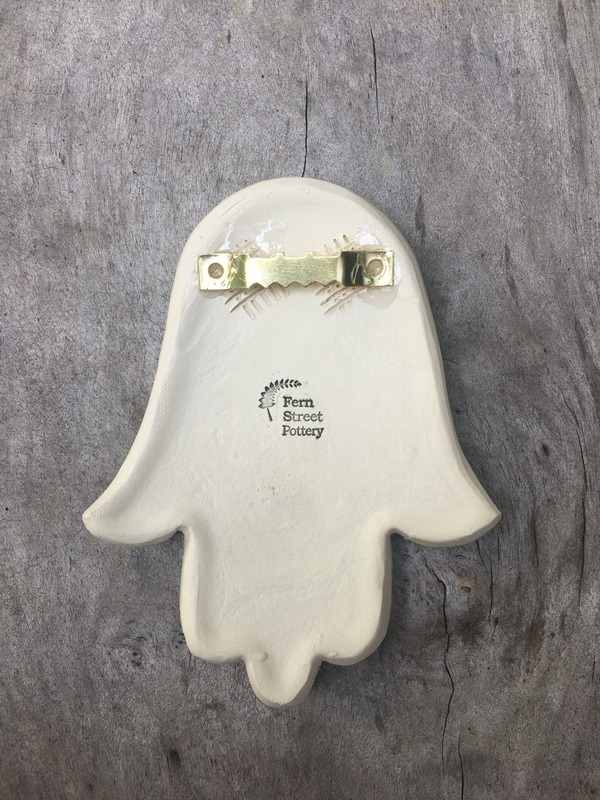 In Judaism is is called a Hamsa or Hand of Miriam or the Five Fingered Hand of G-d, in Islamic cultures it is called the Hand of Fatima, Christians call it the Hand of Mary. 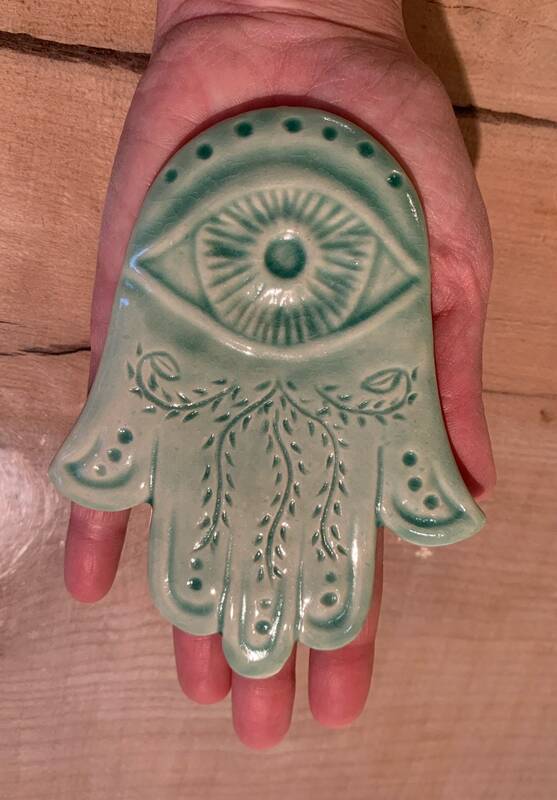 This Hamsa is ready to hang, having a self leveling (sawtooth) hanger adhered to the back.